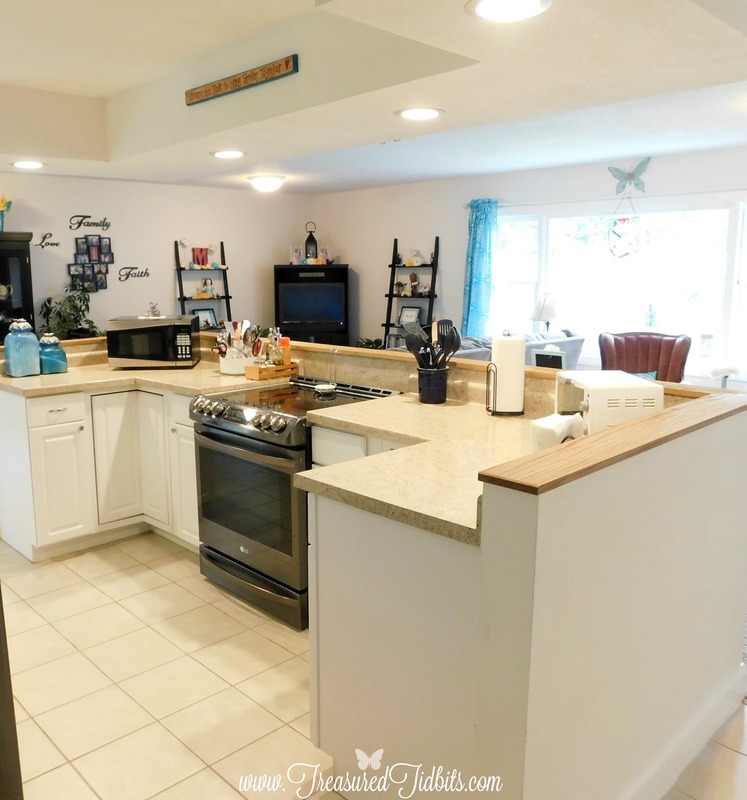 Welcome to our new kitchen tour! 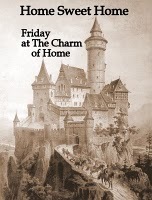 Grab your favorite cup, maybe even a snack and come take a look around. We have a ton of photos- even inside the cabinets. Last week, we shared a tour of our summer deck and how we made it an amazing oasis for less than $40. That oasis just happens to be not only viewable, but accessible from our beautiful kitchen, offering us the opportunity to watch our ever changing wildlife out the kitchen window, while we tackle dishes and additional mundane tasks. 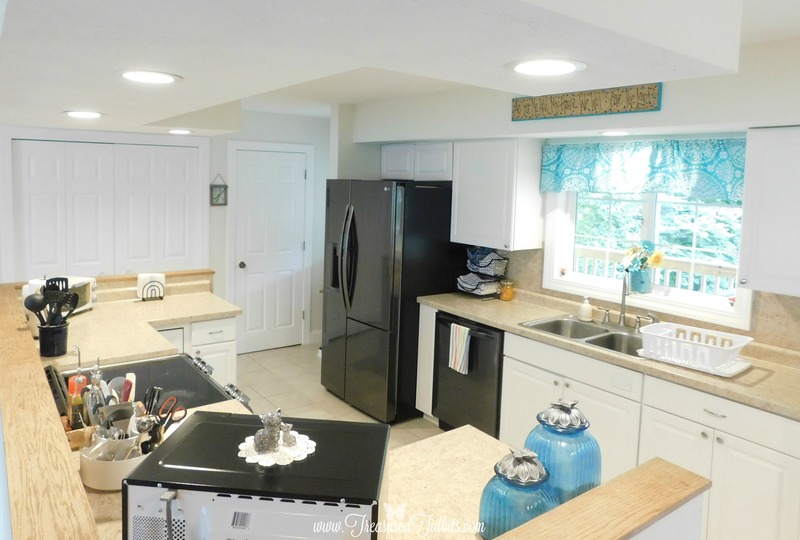 If you recall the kitchen photos from the House on the Hill reveal you remember that our kitchen is open to the dining room, living room and entrance area, making it ideal for my wheelchair days and large family gatherings. What says family more than 40 people trying to talk over each other in one room? Although this kitchen was built with the very basic builder grade materials, it works for us. Because it was so basic and new, it provided us with an opportunity to choose our own appliances. 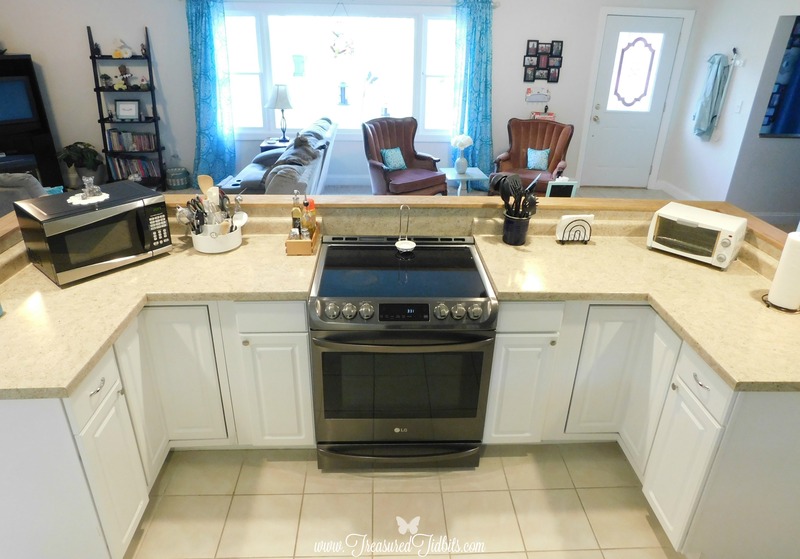 I hope to share that “adventure” and how we chose those appliances in an upcoming post. The rest of the kitchen was perfect. Clean, spotless, never used and plenty wide for not only me and my wheelchair or walker, but for several of us to be in the kitchen together. 🙂 Can you say family time? 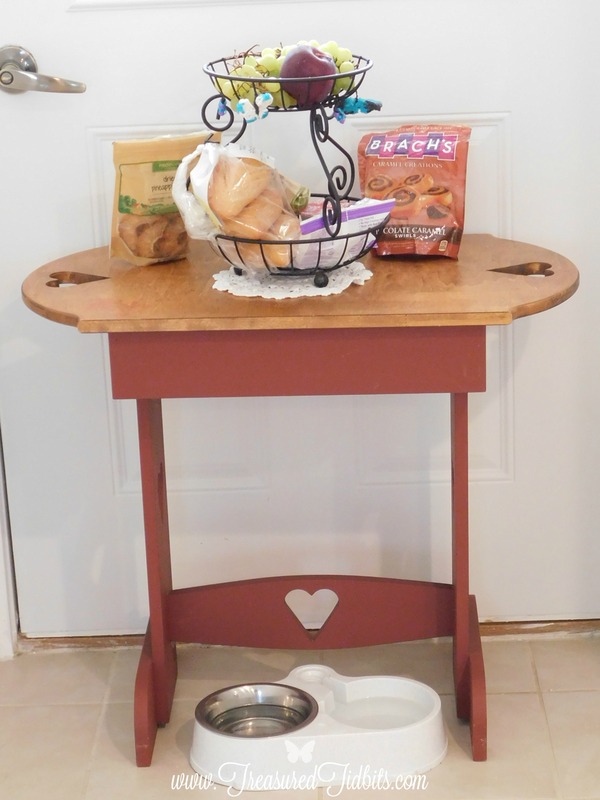 What you cannot see is in this photo is our “snack center.” It’s a small end table located in front of the door we seldom use. Between constantly triggering my daughters allergies (all plant based foods) and constantly finding loose snack packages on the counter, I decided to set this little station up. It was free and works great. We used a decorative end table and our fruit basket. I stumbled on the idea after I set the station up to serve drinks at my daughter’s last birthday party. What better way to keep the fruit off the counter and open snacks under control? Next to it you will find our kitchen command center, where we record groceries and any supplies we want or need. It’s plain. It’s simple and it works. Of course, we changed the black ribbon to aqua and used command hooks to keep them removable so that when the time comes, repainting will be quick and easy. 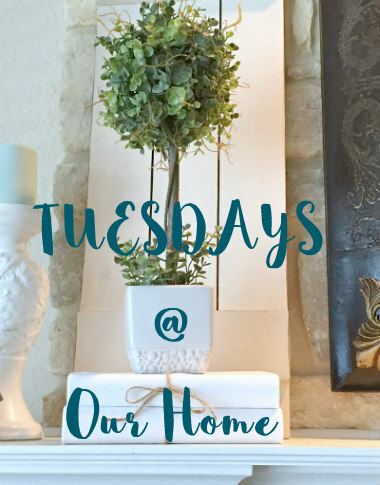 Right now, we have kept our decor simple by repainting a few signs we previously owned to match the aqua color you see throughout our home and deck. 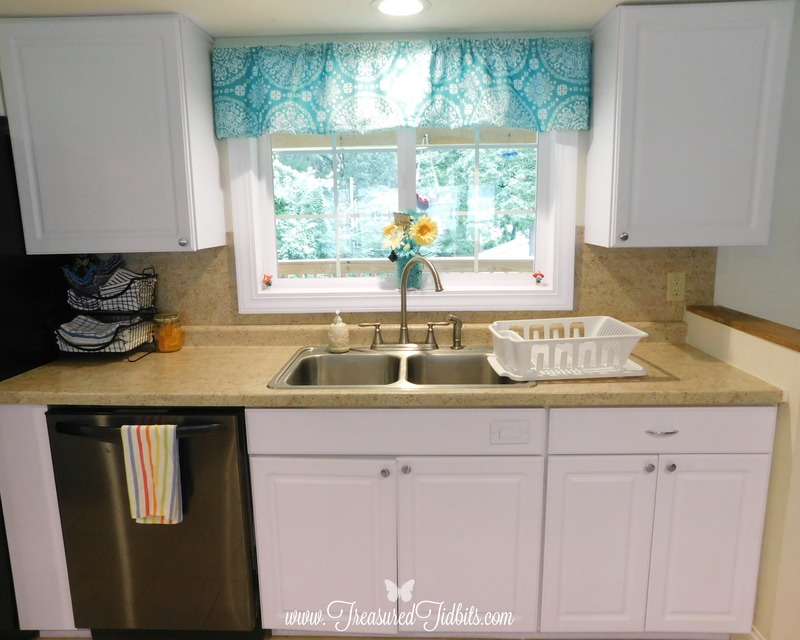 We created the valance above the sink using leftover material from our deck pillows, carrying a common pattern into the house. As you can see, the back wall features two large cabinets above, one large drawer and two large cabinets below. This is a kitchen tour after all. 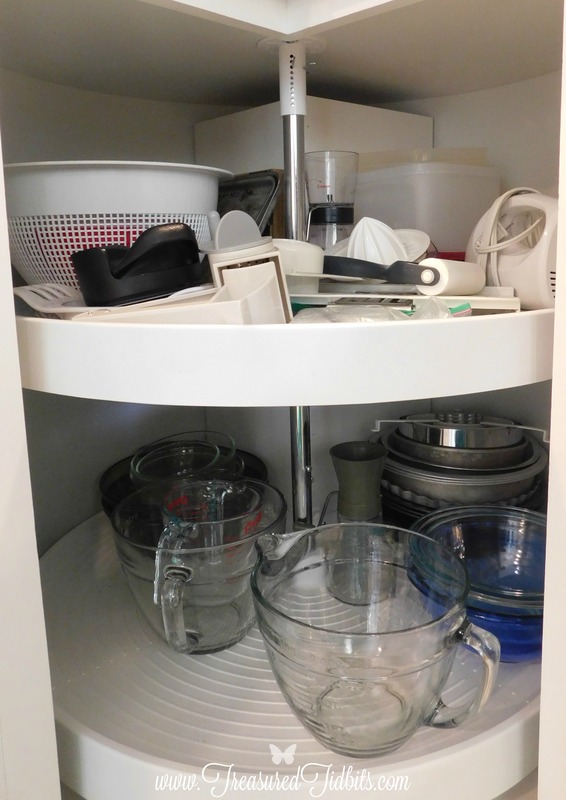 The upper cabinets hold our every day dishes, Rubbermaid and a few odds and ends. 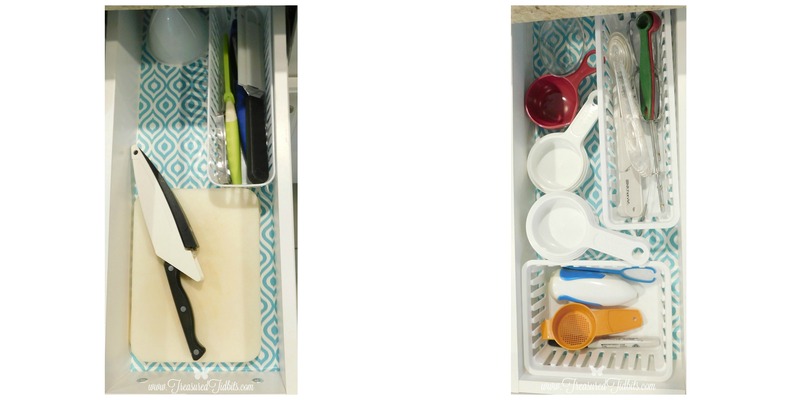 The large drawer holds this fun expandable drawer organizer and maintains our silverware nicely. We have been using it for years with only an ugly grey lining inside, but recently I updated it and all the drawers with this gorgeous contact paper. I love the final result. 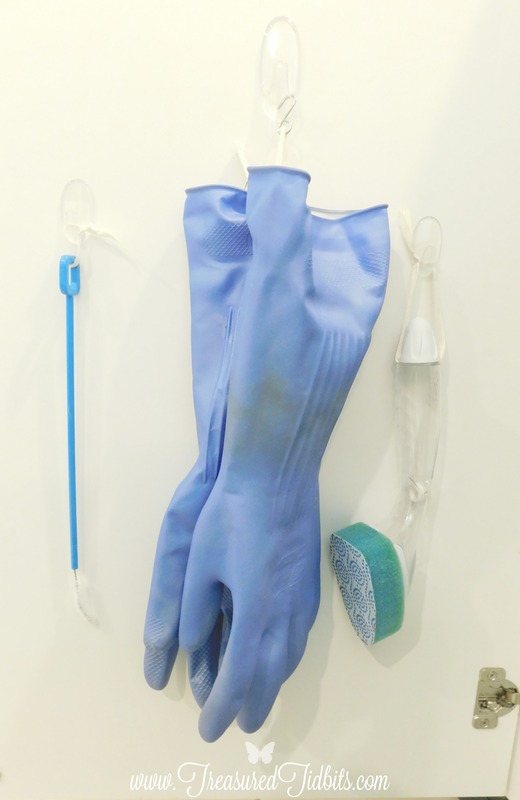 The lower cabinets contain the usual under the sink supplies: trash bags, brushes, gloves, drying pads, chemicals and even a safety lamp. Nothing exciting or mind boggling here. 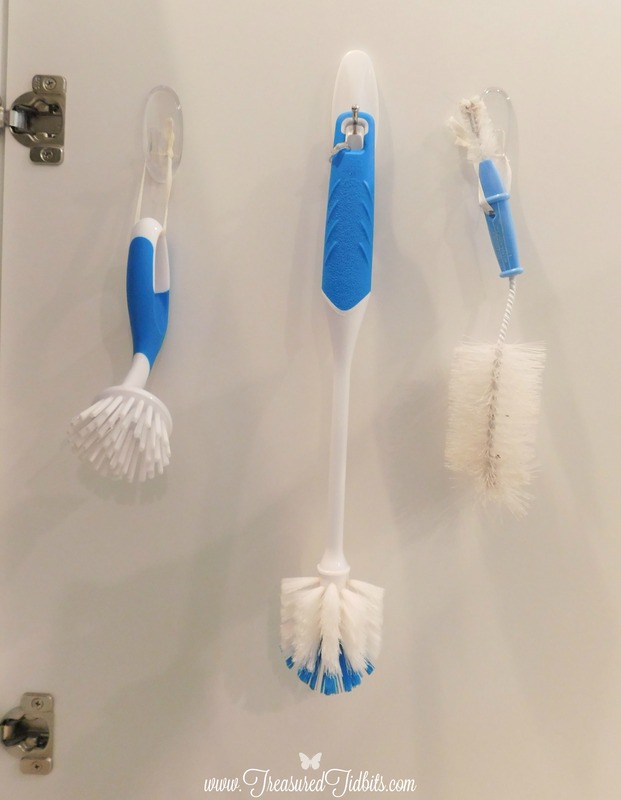 Just some command hooks on the doors, ribbons on the funny brushes, recovered oxiclean buckets for organizing, a metal shelf for more space and a recovered pickle jar for our excess dishwasher tabs. The large cabinet on the right, however, is my biggest splurge after moving in. Ready for it? 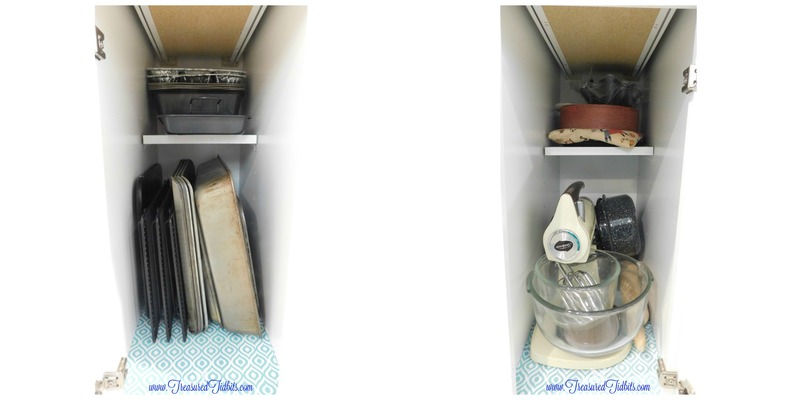 It is the only large cabinet in the kitchen, so naturally it was chosen to store our pots and pans using this amazing Rev-a-Shelf pan and lid organizer. I love it because it saves me from bending, fighting stacks of pans and lids and it is very pleasing to the eye. LOL. Yes, I am THAT kind of girl. Now for the island, that beautiful room divider with recessed lighting and not only one but two outlets built in. Woo hoo! We had zero built in outlets at the last house and it drove me insane, so this really does excite me. It really is the little things. 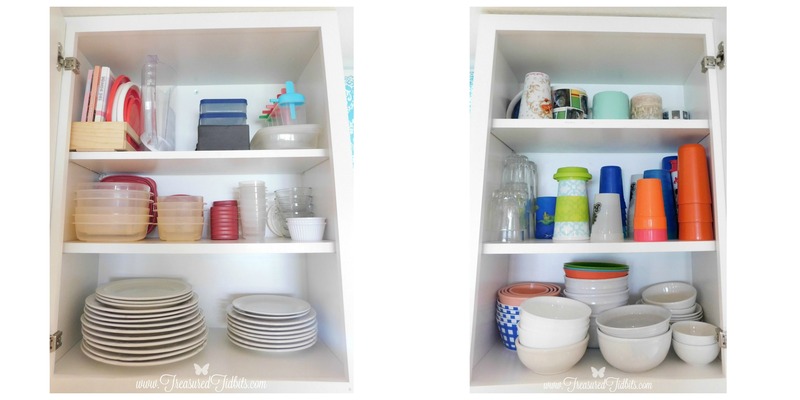 I was able to set up the island cabinets into two categories, and I love the results. Want a peek? Because the island drawers are so narrow, we chose to use them for spices until we were able to neatly add them to our pantry. 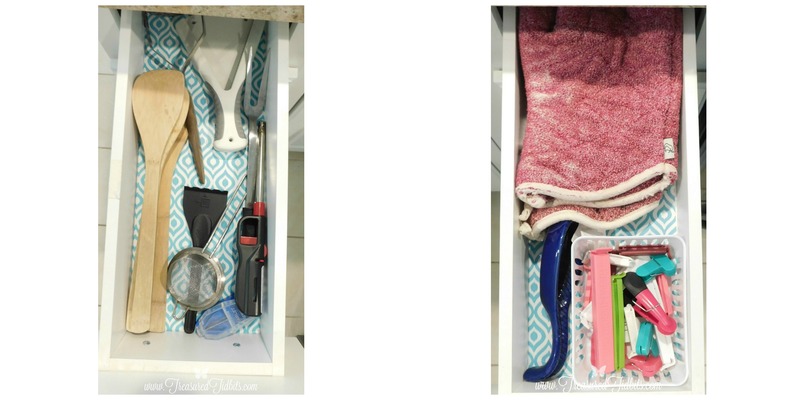 Now, those on the left store extra large utensils, bag clips, small trivets, our spoon rests and oven mitts. These drawers are very, very narrow. The two narrow cabinets contain drink making appliances, and large cooking pans like our double skillet, press and square skillet. Not much wider than the drawers. Are they? Thankfully, the corner cabinets make up for it with these amazing built in lazy susans. Just like the Rev a Shelf, these things are amazing. They save us so much time, energy and stress. This side holds 2 crock pots, a rice cooker, a deep fryer, 2 large pots, chopping supplies and my favorite Pyrex. Now for the right side, this is our “baking” side. 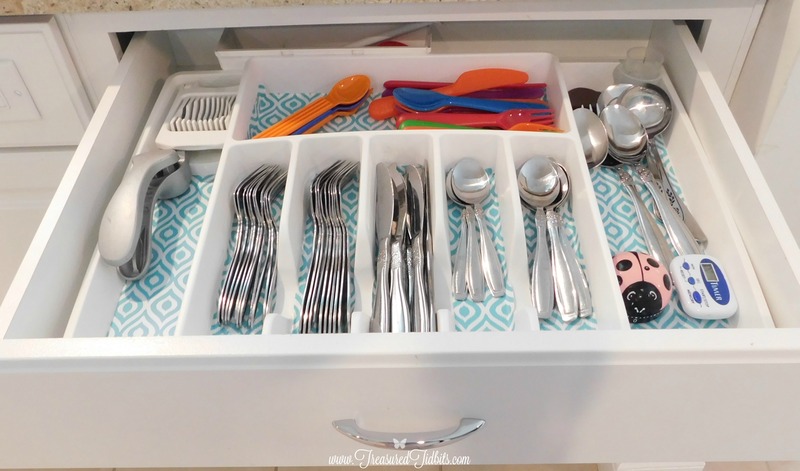 These two drawers contain our small cutting board knives in one and all of our measuring spoons, cups, beaters, kitten fostering supplies and miscellaneous baking supplies in the other. 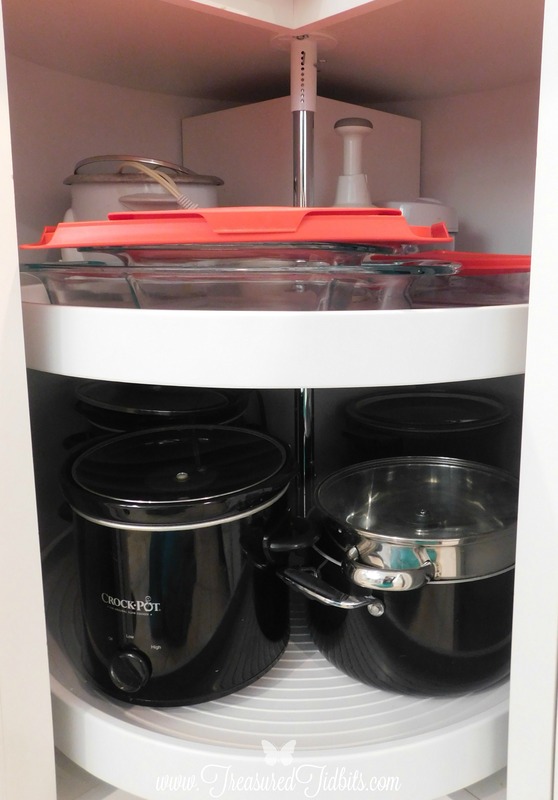 The small cabinets hold our stand mixer and bowls, baking sheets, bread pans and muffin tins. 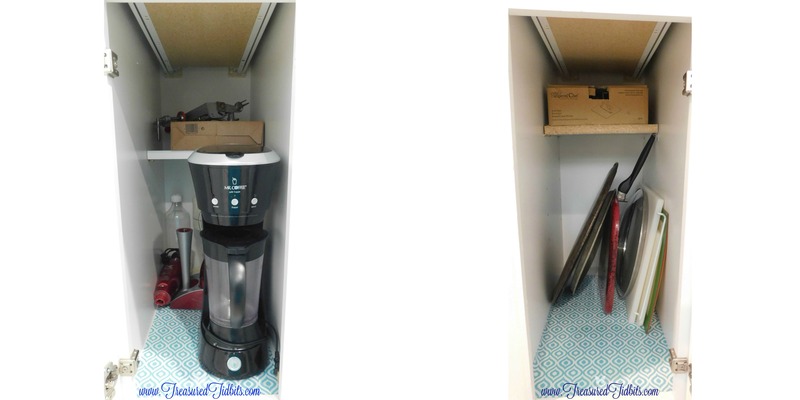 Yep, there’s a little hidden shelf in the back, perfect for storing those lesser used items. I just have to remember that it’s there. Over time I would like to install some dividers to help keep the baking pans separated, but for now this system works just fine. Guess what? This side has a built in lazy susan, as well. 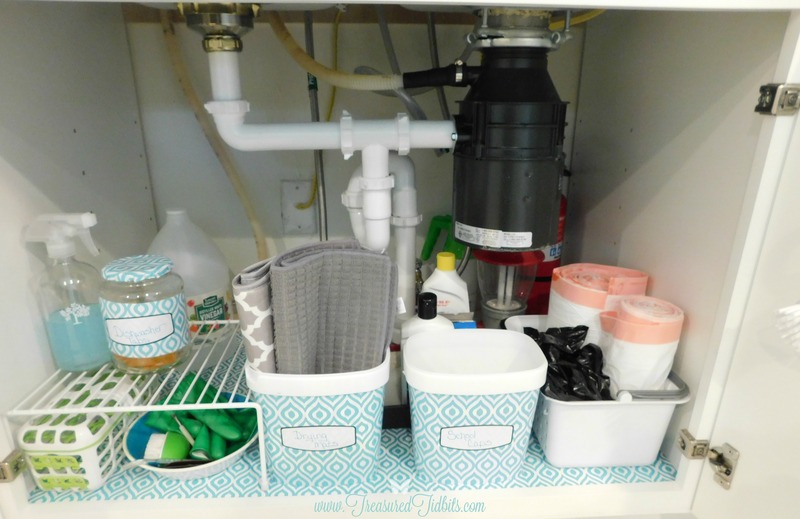 It’s perfect for keeping our smaller mixer, extra tools, pie pans, various strainers and my mixing bowl hoard collection close at hand. I confess, I might have an addiction to mixing bowls, considering I purged several before the move and yet, this many remain. What can I say? I like mixing bowls. 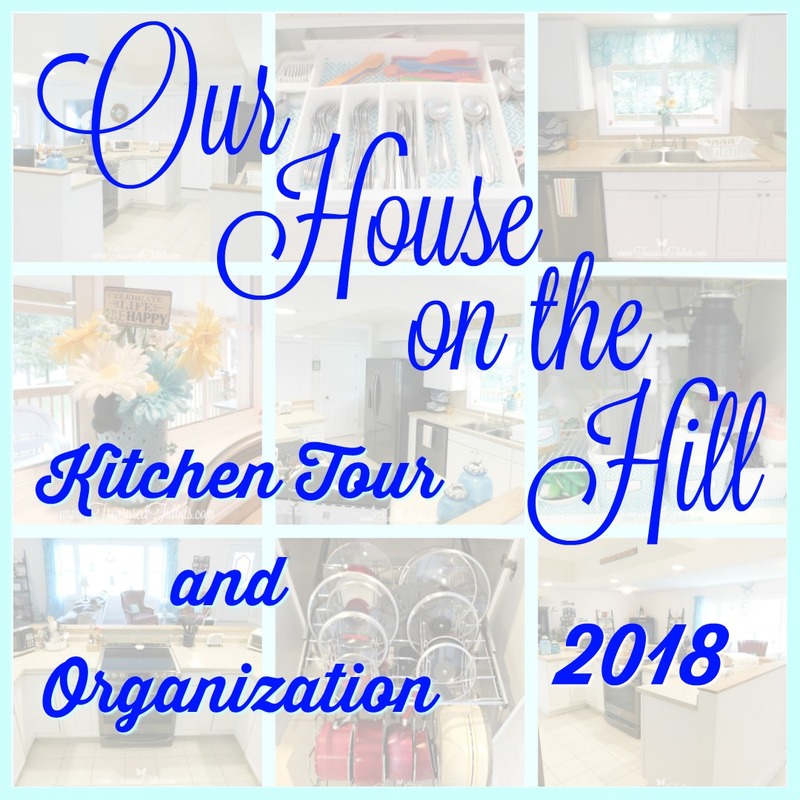 That’s it for our House on the Hill kitchen tour. Our kitchen may not be large or highly decorated, but it works for us. 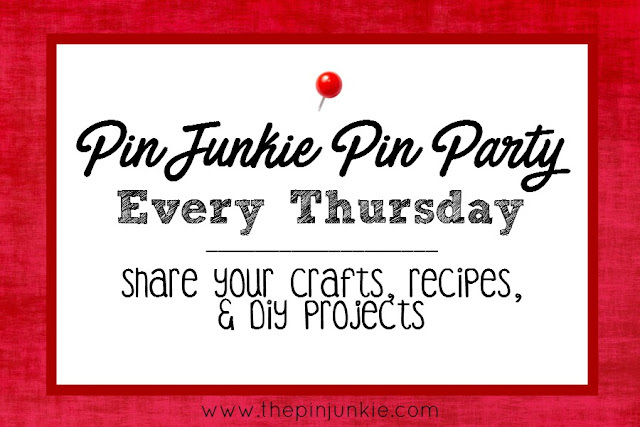 Did you see something you liked in today’s kitchen tour? Feel free to click the links provided below to find a similar item online. Some of the links are affiliates and may provide us with a small compensation at no cost or effect to you. To learn more please visit our disclosure page. Happy shopping! 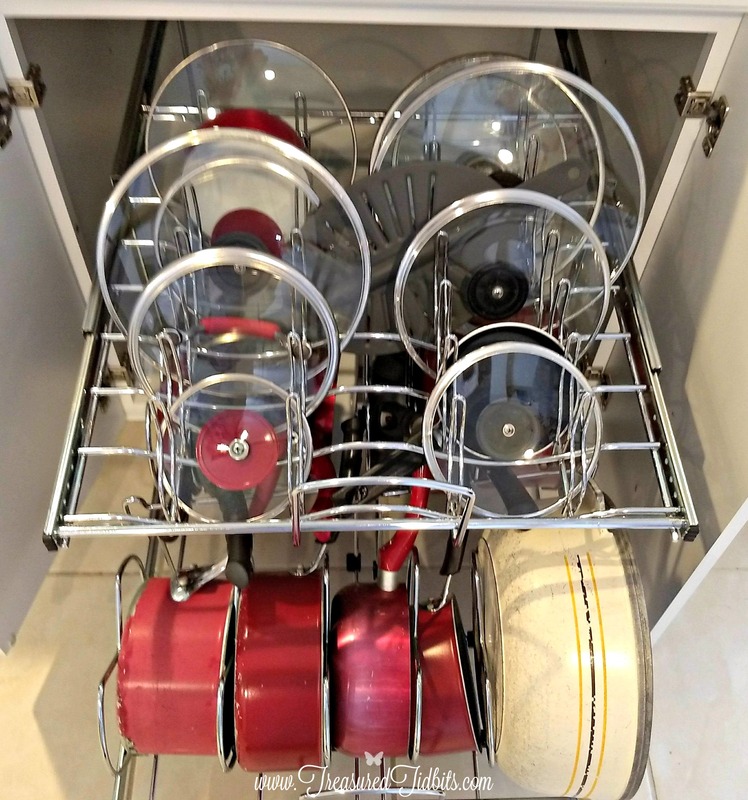 Rev A Shelf Pan Organizer They are available in multiple sizes. Contact Paper It is actually, Duck Brand Deco Adhesive Laminate Liner. Who knew? Stacking, Interlocking Rubbermaid I love these containers. No more hunting for or fighting mismatched containers and lids and the price is unbeatable. I have included links in the post to similar items on Amazon. Some of those links are affiliate links and may result in a small compensation from Amazon if you click on them, at absolutely no cost or effect to you. To learn more, visit our disclosure policy here. 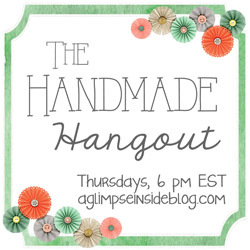 This post is linked-up with a variety of others @ Wonderful Wednesday Blog Hop @ Ducks ‘n a Row. So organized! I really like the pot and pan storage with lids. Thanks for sharing at Home Sweet Home.